REMINDER - if you don't see the current week, refresh your browser. Occasionally the same page you visited last will appear rather than the updated version. Throughout the world millions of people celebrate Good Friday, Passover, and Easter that is about resurrection and rebirth. The idea is needed and also swept into strong currents of change already happening through Pluto that has stirred the same energy throughout the world. During this week when so many are exercising reverence for higher spiritual forces you can align with it for everything from personal needs to connecting globally and beyond. Much of the week the Sun is in Aries that represents this as well and while on Saturday the Sun moves into Taurus we have Mercury and Venus in Aries to keep you motivated to think in individual and original ways about the future and path you would like to take. ​Please note that times are for the Eastern Daylight Zone. The lunar transit of the Moon through Virgo from 6:15 AM until Wednesday prods you to buckle down and take care of daily business, work and anywhere you need to regain order. These are days to establish reasonable patterns that support your best lifestyle and progress. The Moon trine Uranus at 9:43AM inspires and can bring a stroke of luck. You are given more enthusiasm and eagerness to go forward and try new things as well as be more innovative. You’re more intuitive. Venus square Jupiter at 7:16 PM could halt plans and throw a wrench in social gathering and personal relationships. Take caution when spending as it could be more out of desire than need and cost in the long run may be unreasonable. This is a kind of scrambling of ideas and feelings. At 11:29 PM the Moon square Mars challenges the status quo and can stir up issues the result in difficulty. Take a simple approach where you see something or someone is unsettled or upset. The Moon opposite Neptune at 11:10 AM fogs up the atmosphere causing lack of clarity and confusion. It’s easy to become lost, literally and figuratively so take a thorough approach to the need to make a decision. The tine between the Moon and Saturn at 3:41 AM is stabilizing and grounding as needed to help you maintain anything important and manage where you want something to keep going. The Moon trine Pluto at 8:11 PM fortifies and lends confidence to forge ahead and take a stand where needed to maintain appropriate boundaries. This sustains you where you need it the most. Move with caution and use wisdom when spending and making purchases. People can become over-excited and carried away that leads nowhere. Use discernment especially where money is concerned. This is not the greatest time for investments. At 12:30 AM the Moon opposite Venus affect desires that could be exaggerated and too extended. It causes going too far without good reason so check your emotions and look before you leap into anything. Mercury is in Aries from 2:01 AM until May 6 that heightens thinking to a high degree. You may think overtime and have many ideas swirling that are different than usual. You are drawn to take the initiative and put yourself out there so are on the go and busier than usual. There can be impulsive talk. The Moon in Libra from 7:23 AM until Friday brings restoration of balance and realignment so that you can regain peace and understanding where anything is out of kilter. It’s easy to see the give-and-take of matters and discern where to make adjustments. The Moon opposite Mercury at 7:52 AM is about waiting for a better time to make any agreements or try to gain clarity. Someone may be muddled and matters easily go wrong. It’s best when on the road and traveling to watch the signs and know where you’re going. There is extra fire and energy to move ahead when the Moon and Mars trine at 2:47 AM. You have strength and ability to accomplish deeds and work. At 4:49 PM the square between the Moon and Saturn causes pause and reason to stop and think before venturing forward. Some may feel insecure and uneasy and some may be uncomfortable in general expressing displeasure about how things are going. Stay detached where possible. The Moon square Pluto at 9:19 PM is emotional intensity that is like a curve ball vibration. Strive to stay focused and on point as you maneuver through situations. Avoid those who’re harsh and mercenary. The Moon sextile Jupiter at 11:08 PM makes for a workable environment and helps to have good reasoning. People are congenial and good feelings abound that makes it a nice environment for all to get along and make progress. ​The Moon opposite the Sun at 7:14 AM is also the Full Moon in Libra that marks the culmination of energy building for the past two weeks. You’re reminded of where you’ve gone wrong or made a move that didn’t serve your intended purpose. One-on-one dynamics and relationships are brought forth and call for extra attention. From 8:42 AM until Sunday the Moon in Scorpio gives depth of feeling and focus on the more serious areas of life. You contemplate and engage with others about the meaning of life and all ramifications of it. This is a nice time to meditate on your own soul journey. Expect the unexpected when the Moon and Uranus oppose at 12:36 PM. Life can take a quick turn and people are unpredictable. Strive to stay grounded and above any fray that unfolds. And the zodiacal year proceed along when the Sun leaves the first sign and moves into Taurus today at 4:56 AM. You’re reminded to pace yourself and plan ahead so that you can have a pleasant and reliable lifestyle during the rest of the year. Evaluation is a key influence that calls for assessing and taking stock of what you want, what you need, and how you want to live your life. Pleasantries strongly resonate. Venus in Aries from 12:11 PM until May 15 is motivational for thinking outside-the-box and being forthright in reason and deed. You are more aware of what you want and feel eager to take the initiative that can be in a creative field, in your personal life and relationships, and overall. Ideas abound and new motivating energy keeps you going. At 2:41 PM the Moon trine Neptune is good for listening to your inner thoughts and intuition that is strong now. This is a great energy to help express otherwise difficult thoughts and it opens doors to easy perception around you and with others. The sextile of the Moon and Saturn at 7:21 PM gives ongoing strength to tackle tasks and tend to responsibility. You have support as needed. Strength and support flow from the Moon sextile Pluto at 12:01 AM. This can be a win-win time if you invest in taking a direction based on solid choices. This lends reliability. The Moon in Sagittarius from 12:01 PM until Tuesday of next week lightens moods and opens you to more optimism and the ability to see beyond limitation. This is a time of having hope and realizing you’re not limited. The Moon trine Venus at 2:20 PM is a very nice ray that benefits socializing and romance as well as creativity. You are warmly received and you feel comfortable with others. It’s a nice time to make plans and enjoy the company of others. The Moon trine Mercury at 11:20 PM benefits communication and also travel. You’re clear to others and also have clarity when in conversation with them. This is nice for writing and social networking. Moving forward with the growing lunar tide includes the First Quarter Moon in Cancer which is a fork in the road where personal decisions come to the fore to process and evaluate. You feel more and sense with greater perspective all that is happening around you. Jupiter in Sagittarius retrograde gives reason to consider recent financial choices and directions based on how you perceive and believe the world to be. Higher forms of communication are in a holding pattern to be reviewed. The saying, “grow where you’re planted” applies to much of the current celestial cycle with so much advancing and even with Jupiter retrograde it’s still expansive energy. The abstract and more esoteric vibration is inner expansion of awareness ranging from self-awareness to opening to the world at large through perception that can lead to being visionary and increased wisdom. The Sun and Uranus conjunct in Taurus, Pluto is retrograde in Capricorn, and the Moon occults both Saturn and Pluto. Saturn is stationary before its retrograde motion on April 29. 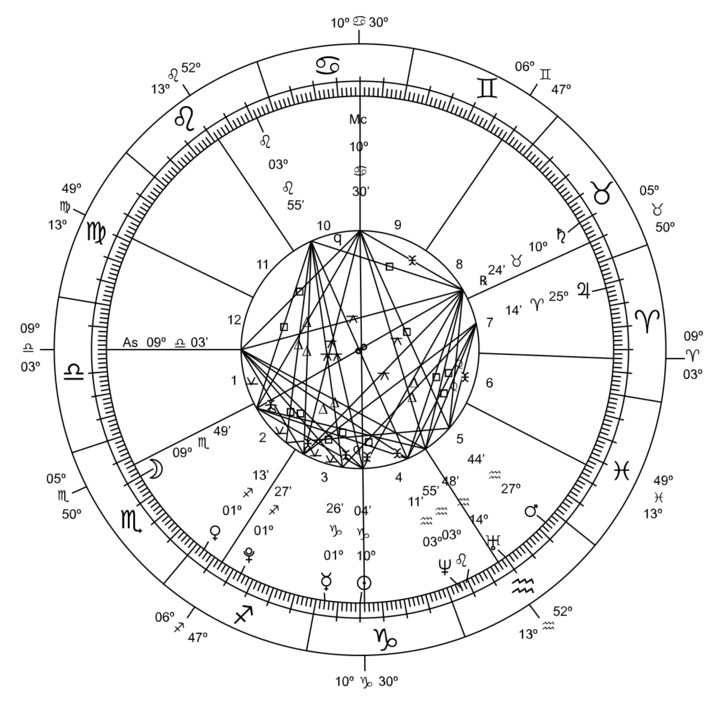 Notes for applying details and information: Major aspects are angles from one planet to another called conjunction, sextile, square, trine, and opposition that each has its own meaning. These, combined with the individual meanings of the planets create unique interpretations. As last week, please excuse grammatical errors this week, too. Scheduling has been rush so posting as is without editing though dates and times are accurate - just maybe sentence structure may be off.